While I applaud your efforts for ‘big data’ collection to help better understand and guide the resolutions of problems affecting the Honey Bee, I would suggest you’re asking the wrong question, and providing advice contrary to what is becoming the accepted practice–chemical free (not management free) bee keeping. With every passing week a new peer-review, scientific article comes out in journals outlining just how complicated the problem of the introduced Varroa mite is, not to mention how we are compounding the problem by blindly using dangerous chemicals to attempt to put a band-aid on what is at its root, a genetic problem. Instead, or perhaps in conjunction, you may very well be better served by making a call to track chemical free apiaries, the management techniques used, economic returns, and honey yields rather than following the mite. Hopefully your survey has a category for chemical treatment free apiaries. But to my primary complaint, statements on your website regarding treatment presented as fact are unreferenced, and much of the current literature contradicts them. Like it or not, varroa mites are part of the global landscape (save Australia for now) and their chemical control is making them stronger, as evidenced by their resistance to chemical treatments, without significantly impacting their population, as evidenced by their ubiquitous presence around the globe. It is becoming more and more widely accepted that chemical treatments are exactly the wrong way to approach the varroa mite problem. I am yet to find a pro-treatment community willing to discuss what such treatments are doing to mites. No treatment is 100% effective, and evolution works. By providing environmental factors that kill off the weakest mites, mites with a dramatically shorter time frame between reproductive events that allows for genetic recombination, those who treat their bees are doing exactly the wrong thing for bees, but a great service to the mites by rapidly pushing their evolution to a stronger state (again as clearly evidenced by the now many synthetic chemicals that mites are resistant to and their continued success in our apiaries). There is increasing evidence also, that in-hive chemical treatments are detrimental to the honey bee. Once such article, referenced below with other articles showing the survival of feral colonies and their use as genetic sources in breeding programs. This is a complex problem due to the introduced species, yet feral colonies exist with resistance to varroa, and many queen breeders across the globe in varied climates have demonstrated the ability to select for genetic traits that confers tolerance to mites. It’s a reckless and disappointing approach to advocate for unproven, costly, dangerous, and failing mechanisms of mite control when so many other options exist. Appropriate hive manipulations or queen exclusion to reduce mite loads until the colony can be re-queened with a mite tolerant queen are just a few examples. I ask that you approach this topic with more care and recommend, rather than chemical treatments, you encourage appropriate management techniques which do not strengthen the genetics of mites and stagnate that of bees, but rather the opposite. Treatment free apiaries are not a fring group ‘infecting’ the world with their mites. Rather, as Kefuss observes, when robbers or drones bring mites into his treatment free colonies, the mites don’t come back out. Varroa are a problem because of their introduced nature. Apis Melifera never had the chance to co-evolve with them like Apis Cerana. This is a genetic problem, and chemical ‘life support’ systems for bees that will never be able to survive on their own with this parasite is eliminating opportunities for evolution which we can’t afford to squander. Coombs, LeCont, Webster, Harrell, Kefus, Crowdeer, Brother Adam, and so many more scientists and backyard keepers alike are not wrong in this. We keep apiaries, without the hazardous (to ourselvs and the bees) chemicals you advocate. Please adjust your rhetoric to align more fully with what the science is clearly bearing out and what is obviously the optimal path for long term survival of the species. Strong genetics are the solution to the Varroa mite problem. Coombs also provides an extensive bibliography of treatment free methods for management in his criticism of Randy Oliver’s series on mites. Spongy Soils to the Rescue! 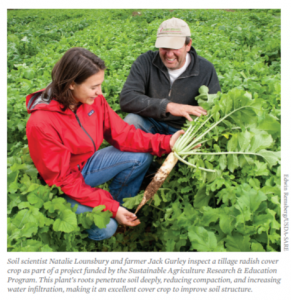 In a publication by the Union of Concerned Scientists, many papers were reviewed to come up with recommendations for improving water retention, reducing the need for irrigation, slowing runoff, and improving soil fertility. Continuous living Cover Crops in between commodity crops and no-till agriculture were among several methods to achieve these improvements. to $9 billion annually by 2080. We ask a lot from our soil. It’s great to see that a small shift in practice can not only improve soil health and productivity, bur reduce the negative impacts of drought and flooding. There were many good speakers at the summer state beekeeper’s meeting here in North Carolina. Here are a few links I became aware of as a result of the conference. Jon Zawislak’s performance in this video isn’t nearly as good as his presentation in person, but this is a very good talk on bee genetics. Register your hives to get notified for regional pesticide applications. Plant Flowers, different flowers, lots of them. The following two recent articles from Bee Culture drive the point home that Marla Spivak made so well in her ted talk (https://www.ted.com/talks/marla_spivak_why_bees_are_disappearing). PL A N T M O R E F L O W E R S .
At least one of the studies referenced shows that larvae that didn’t get enough to eat, resulted in adult bees that were better able to survive in a forage poor environment. It wasn’t until recently that I learned this pre-harvest ‘ripening’ herbicide application practice was being performed with Sugarcane as well…a google search for ‘sugarcane glyphosate’ gives you all manner of research on the practice dating back more than 10 years. I’ve not been able to pinpoint when glyphosate ‘ripening’ sprays started being used for sugar cane, but most of the earlier research publications I’ve found date between 2004 and 2008 (whereas, wheat/soy/etc…started getting the pre-harvest sprays in the 1990’s). CCD was first reported in the US in 2006 (https://en.wikipedia.org/wiki/Colony_collapse_disorder)…could there be a correlation between wide spread commercial application of glyphosate pre-harvest for sugar cane and CCD? … or for that matter the increasing child development and obesity epidemic we’re seeing at present? Do we really want to be feeding our bees sugar syrup made from cane sprayed with roundup? Do we want to be feeding our bees at all if it’s going to short circuit their natural defenses against dearth where undernourished larvae naturally develop into adults better able to survive low forage conditions? 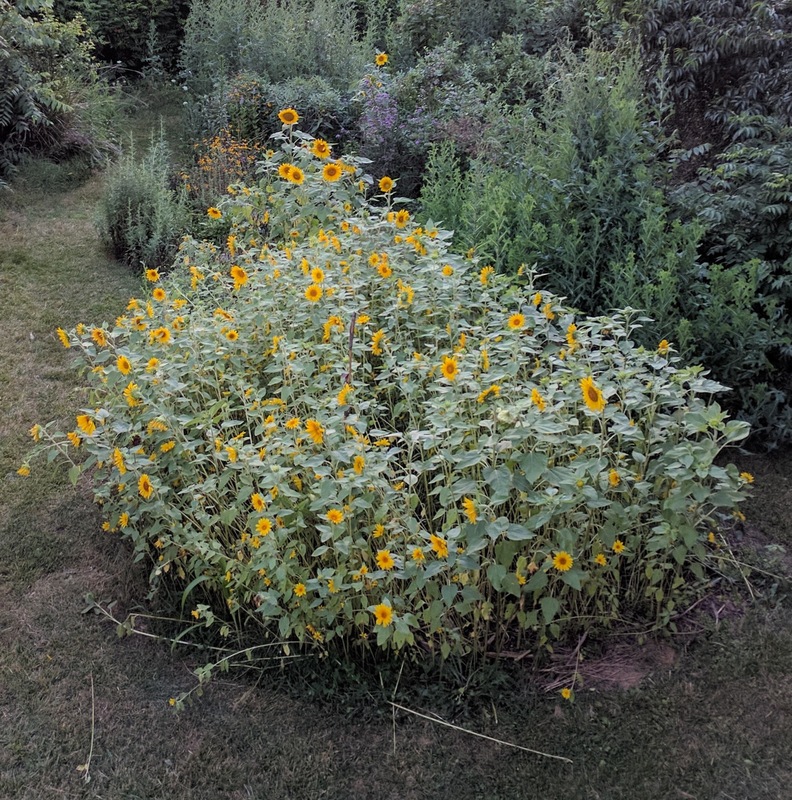 I don’t have any answers or piratical apiary experience with this, but I will next year as this new (to me) information has pushed me to decide to run not only a chemical free apiary, but one with, at least for this year, no supplemental feeding as well. If anyone knows of research or hands on experience with chemical free, food supplement free apiaries, please share! After getting back from studying with Dr. John Kefuss in the South of France this past March, Solomon Parker from the Treatment Free Beekeeping podcast reached out to see if I’d be interested in sharing my experience. He’s a gracious podcast host, and we had fun talking, genetics, introduced pests, the overblown rift between ‘treatment’ and ‘treatment free’ beekeepers (which seems to stem largely from miscommunication rather than practice) and ‘apiculture sans chimiques’, bien entendu (of course)! His previous podcast was with Dr. Kefuss himself so you can hear about his queen breeding operation direct from the source as well. Merci et bon chance avec les abeilles!